When it comes to styling my hair, I have very little patience for it. In fact, I have no problem admitting that I hate doing my own hair. My hair is naturally thin and straight so adding volume to it is a must. I wish I had the kind of hair I could just air dry and throw into a cute top knot, but I don't. I'm in the process of growing my hair out long, so when it's not in a pony tail, I typically wear my hair down, with loose, beachy waves. 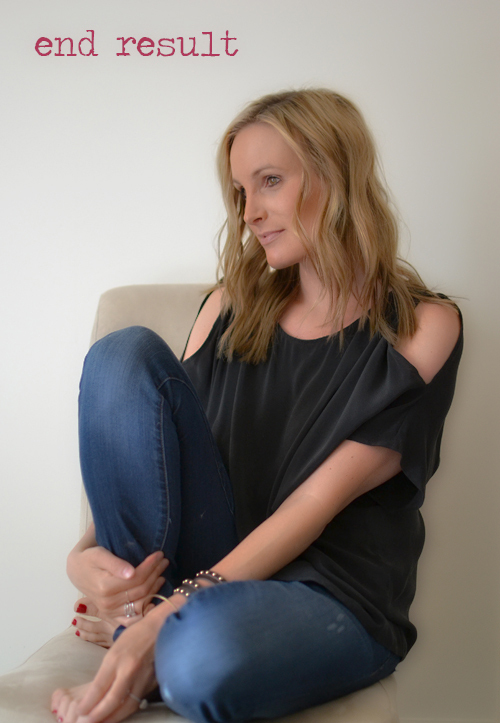 I was beyond flattered when a few of you asked me how I get my waves, so I thought I'd share my super easy steps. It's a look that's incredibly easy to achieve, and best of all, you don't need to use any fancy/expensive tools or products. 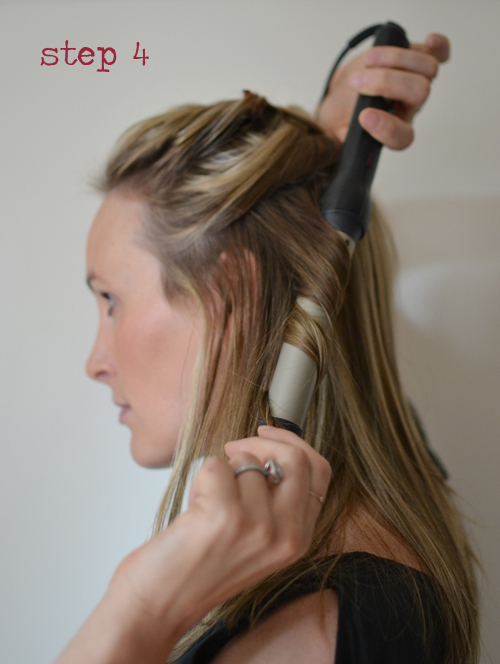 This 1" clampless curling iron by Conair does an amazing job and costs less than $20! I use Goody hair clips and a tourmaline ceramic comb also by Conair. Both cost less than $6. 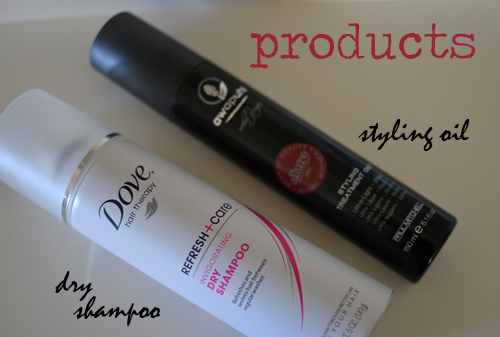 Dry shampoo for texture. I've been a long time fan of Dove's dry shampoo. Styling oil to smooth ends and fly-aways. Paul Mitchell's Awapuhi Wild Ginger Oil is lightweight and smells incredible. Plus, this bottle will last you forever! Start with hair that has been washed and dried the night before. This will make a HUGE difference. Yes, this is my hair when I first wake up in the morning. 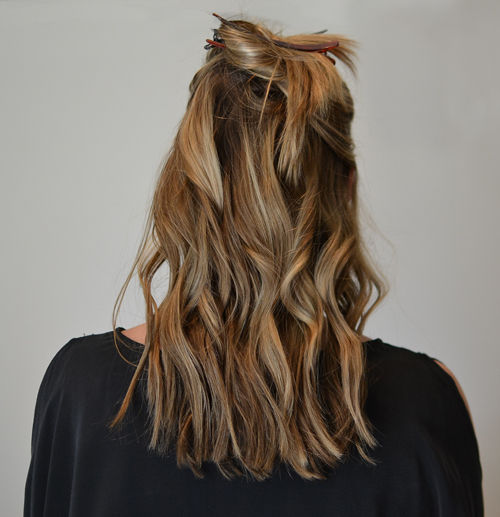 Gather the top half of your hair and clip it up. 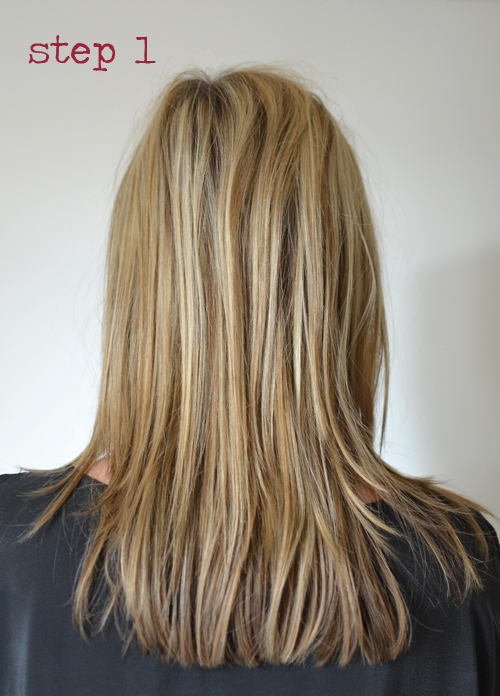 Spray dry shampoo in the roots. 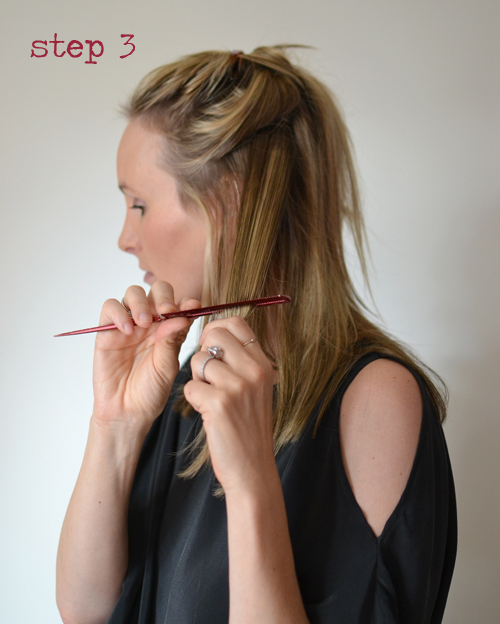 Start with a 1" section of hair that's on the side of your head. Gently run a comb through it before using the curling iron. This will help create a shiny, smooth curl. 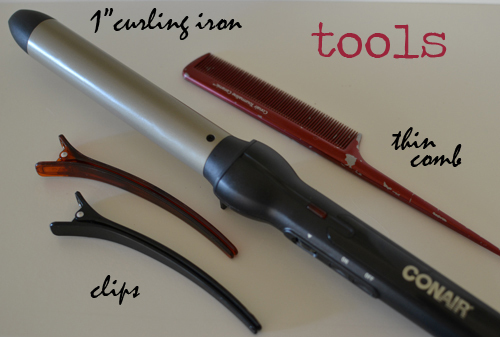 Wrap the combed section of hair around the barrel of the iron, wrapping away from your face. Hold for 8 - 10 seconds or until hair feels hot. Hold longer if you want tighter curls. Curl the pieces of hair that frame your face last. 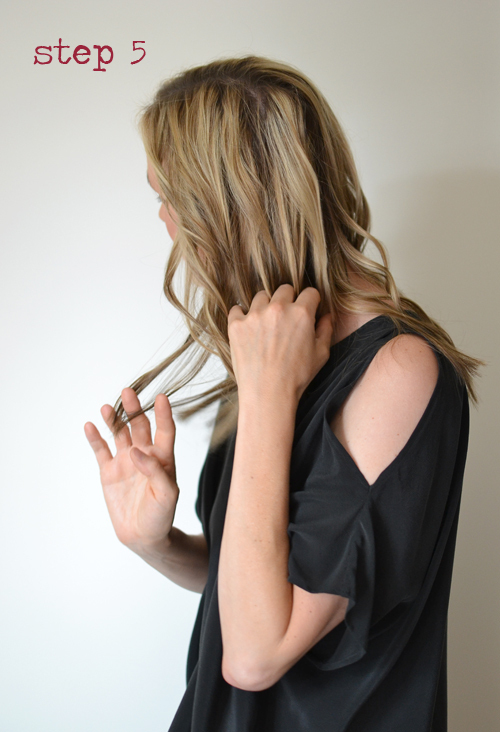 Continue this process until the lower half of your hair is finished. The curls don't have to be perfect. In fact, the less perfect the curl looks, the better. Let down the top half of your hair and continue. Rub a pea size amount of styling oil in your palms and gently run your fingers through your hair. Gorgeous! This is so doable. I am the same way with my hair. It annoys me to spend a lot of time fixing it. I'm definitely going to try this out over the weekend. Loving your top too! Great tutorial :) What does the styling oil do?